The sure solution to getting fit and content with your body is patience and constant work. Therefore, if you have not already, start working now in order to achieve your goal of perfectly sculpted figure that is ready for the beach! First things first – move your body! In order to shape up nicely and get rid of all the toxins you have to exercise and sweat. Of course, do not try to do some extremely challenging exercises at your first try because you will find it hard, your muscles will burn and you could easily give up. Start slowly and then gradually add difficulty to your routine. Most importantly, do not focus on cardio exercises only. Instead, combine these with weight lifting and body sculpting exercises for the best results. Most people would love to be able to eat whatever they want since they work out, but sadly, this is not the case. It is perfectly acceptable to have a balanced diet without any harsh restrictions when you incorporate a lot of physical activity in your routine but a certain diet regime has to be followed. In order to find this step easier it would be good to find a diet plan that actually advocates a certain way of healthy eating such as chrono diet, intermittent fasting, etc. This way you will not feel hungry but you will be able to decide what your calorie intake will be for the day. You do not have to do this every day but when you decide to do it, exfoliate your body in the shower after exercising. 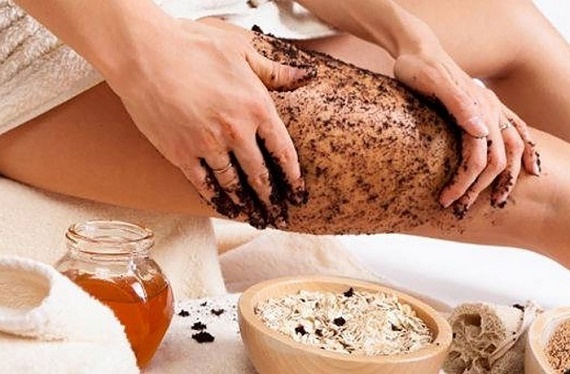 This will remove any dead skin cells and bumps, open your pores so that they can soak up the nutrients from lotions afterwards better and promote circulation which will all lead to the nice smooth and tight-looking skin. If you want some additional help, try your luck with some special creams and lotions that have slimming or anti-cellulite effect. These can stimulate your blood circulation and massaging them into your skin can help with breaking some of those irritating lymphatic knots. These are most effective after exercising, shower and a scrub, so pick your products wisely because they can cause some serious cooling or burning sensations. Even if you reach your final goal you might not be completely satisfied by how your body looks in a swimsuit. A fake tan can solve this problem. With tanned skin, any imperfections on the body such as pigmentation marks, stretch marks, scars, etc. will be better hidden. Moreover, when your skin tone is a bit darker, your overall body is visually slimmer. If you really want to go all out when your beach body preparations are concerned, you might want to think about visiting some beauty salons for more effective massages and anti-cellulite treatments. In all honesty, professional therapist at the salon will do a much better job of sculpting your thighs and stomach than you would at home. Still, if even after all abovementioned techniques you are still not satisfied with your overall appearance, you could try some non-invasive slimming procedures such as cool sculpting that would keep that pesky bits of fat in check. If you do not give your best for yourself, no one else will. Therefore, try to stay on the right track and keep yourself motivated so that you can fully enjoy your time and your body at the beach and during hot summer months.